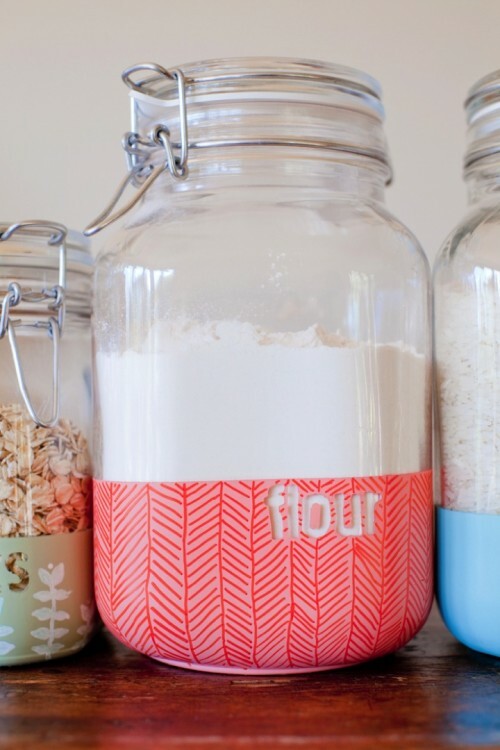 Want to spruce up anything in your kitchen? 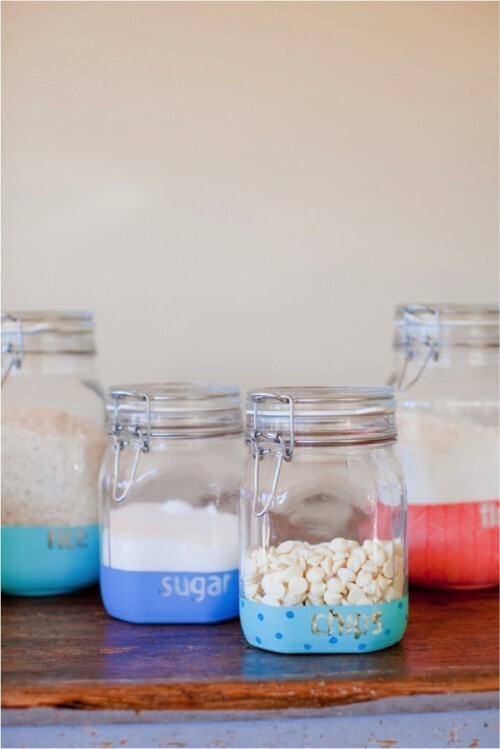 Let’s dip these kitchen containers with this dipped project from thislittlestreet.com! 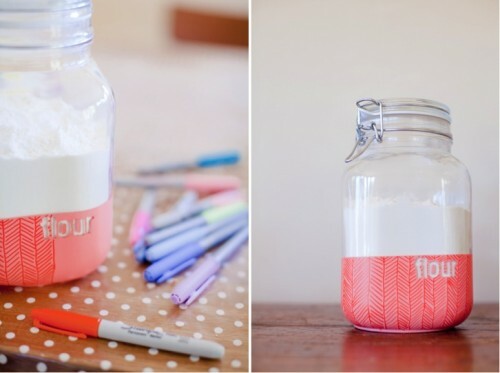 You’ll need jars, spray paint, masking tape, freezer bags, letter stickers that can easily unstick, sharpie pens if you want to add patterns. If you want to protect your jars even more: clear Gesso to prime & matte varnish when finished. 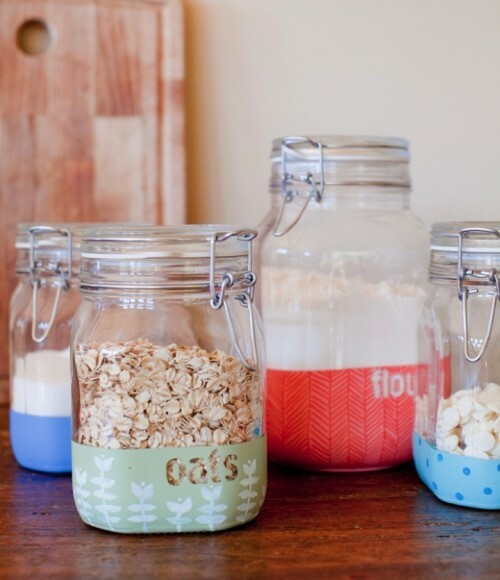 Place masking tape on each jar depending on how much you want to “dip” them. 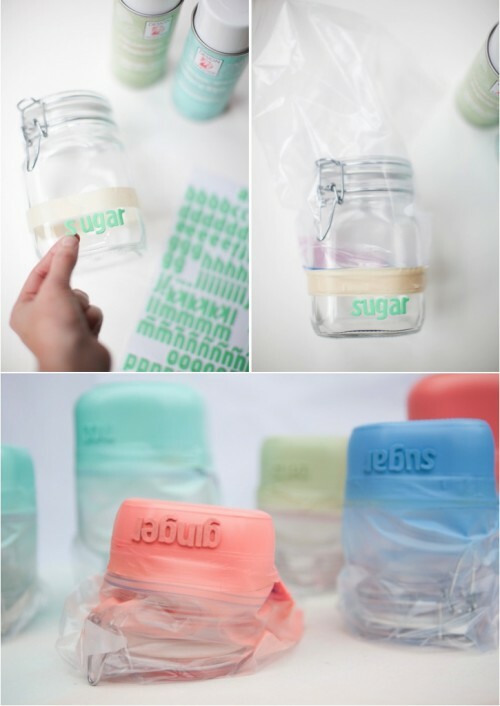 Use your letter stickers as stencils to paint the words you want on each jar. Quick tip: if you want to align your words, start with the last letter of each word – spelling your words backwards so you don’t run out of space. Head over to thislittlestreet.com to continue reading the tutorial.